Do Yukon Gold Potatoes Store Well? What Is Brown Gold Cocoa? Yukon Gold potatoes are smooth, oval potatoes with pale yellow flesh. 1 Do Yukon Gold Potatoes Store Well? 4 What Is Brown Gold Cocoa? Yukon Gold potatoes are valued for the smooth texture, mild flavor and moist, pale yellow, buttery-looking flesh. Yukon Gold potatoes aren't difficult to grow in the home garden and can be eaten as young "new" potatoes or stored for enjoyment throughout the winter. Versatile Yukon Gold potatoes are delicious boiled, baked, mashed or fried. Yukon Gold potatoes are early season potatoes that are planted as soon as the ground has warmed and can be worked in spring. In most climates, Yukon Gold potatoes are safely planted in March or early April. Avoid planting in moist, cold soil as the seed potatoes may rot before they sprout and early growth may be nipped by a late frost. If freezing temperatures are predicted, mound soil over the young plants, then remove the soil as soon as the freeze is over. Harvest "new" Yukon Gold potatoes as soon as the potatoes are at least 1 1/2 to 2 inches in diameter. Usually, Yukon gold potatoes reach this size in late June or July, depending on your climate. To dig new potatoes, use a garden fork to dig a few potatoes, leaving the plant intact so the remaining potatoes can continue to mature. Use the potatoes immediately, as new potatoes don't store well. Harvest mature Yukon Gold potatoes when the tops of the plants die down in August or September. To harvest, dig the potatoes with a shovel or garden fork, working carefully to avoid slicing into the potatoes. 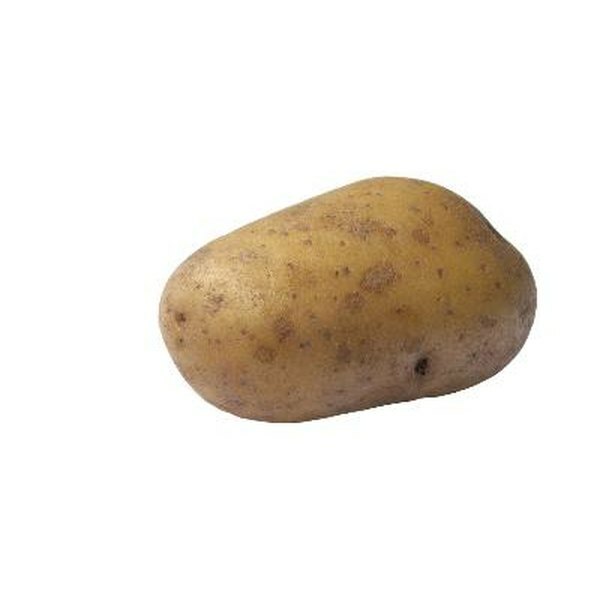 Remove all the potatoes, as potatoes left in the ground will sprout and rot. Sort the potatoes and use or discard any that are bruised or damaged. Yukon Gold potatoes store well as long as the potatoes are cured first. 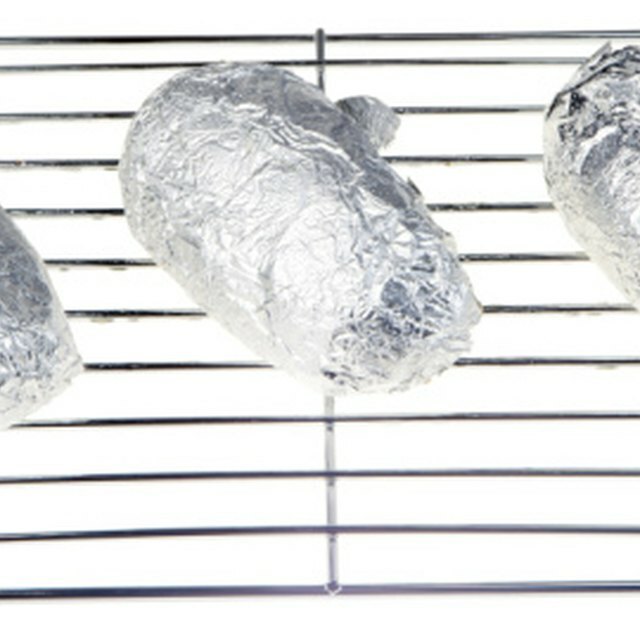 To cure the potatoes, place them in a dark, cool place where temperatures will be maintained between 50 and 60 degrees Fahrenheit. The room should be humid and well-ventilated. Allow the potatoes to remain for 10 to 14 days. Discard any potatoes that have rotted during the curing process, then store the cured potatoes in a humid place with temperatures between 40 and 50 degrees.